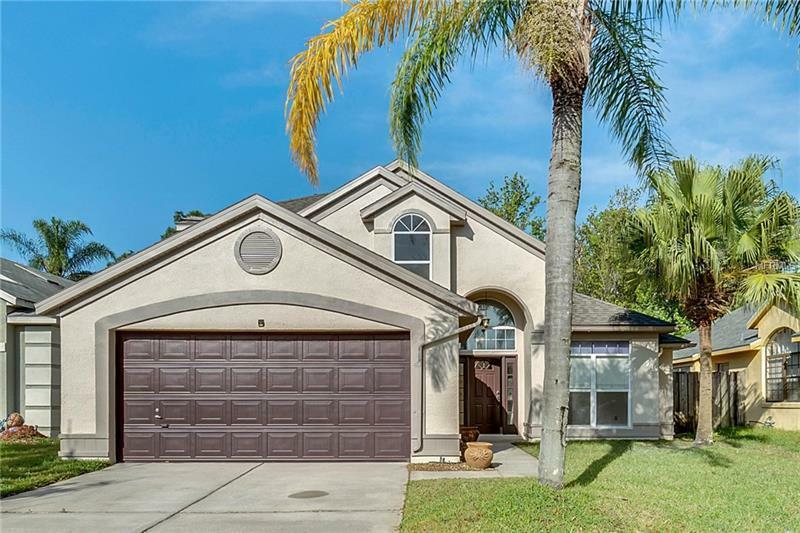 This delightful 4 bedroom, 2.5 bath pool home on private conservation is located in the popular East Orlando community of Andover Lakes. Upon entering, you are greeted by a light and bright open floor plan with 16-foot ceilings in the family room opening to the heart of the home, a charming kitchen with ample counter space, breakfast bar, and casual dining area. The generous master suite and spa like bathroom are conveniently located on the main level. The 3 secondary bedrooms and bathroom are on the second floor. The gem of this home, which introduces the ultimate in Florida living, is a private screened pool with soothing water feature complimented by brick pavers and covered lanai all backing to a tranquil conservation area. Enjoy a relaxing afternoon on the pool deck being visited by a wide variety of wildlife right in your own back yard. Recently painted interior and exterior, some of the other recent updated features of this great home include an architectural shingle roof and new solar heating panels for the pool in 2018, brand new dishwasher, range and microwave and newer water heater in 2012! As an added plus this home also includes a front loader washer and dryer. Located just minutes to highly rated schools, Waterford Lakes Shopping Village, UCF and SR 417 and SR 528 providing quick and easy access to downtown Orlando, Orlando International Airport, Disney theme parks and the beaches! Donât miss your opportunity to own a small piece of paradise! Make your private showing appointment today!